When you share your patterns, SymmetryMill 2 will do a better job of promoting your brand. You don’t have to do anything differently on your end. 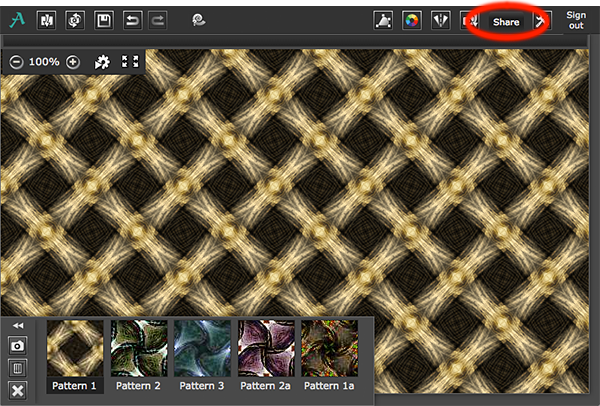 Simply click the Share button in the SymmetryMill toolbar, fill in whatever details you wish to include in the dialog, and your patterns will be off to Pattern Central to be seen by everyone. 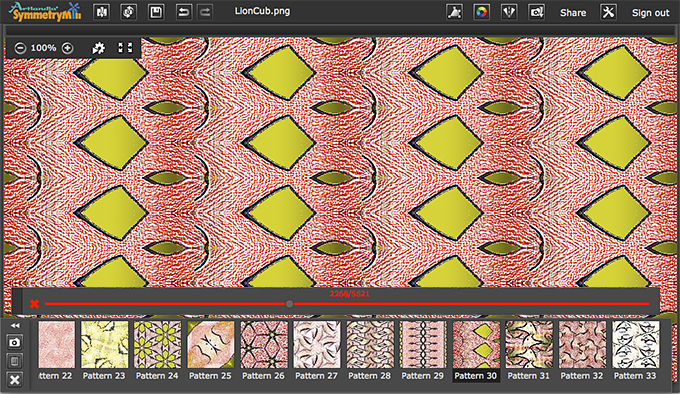 Sharing a set of patterns from SymmetryMill. Artlandia SymmetryMill 2 Is Coming. Are You Ready? 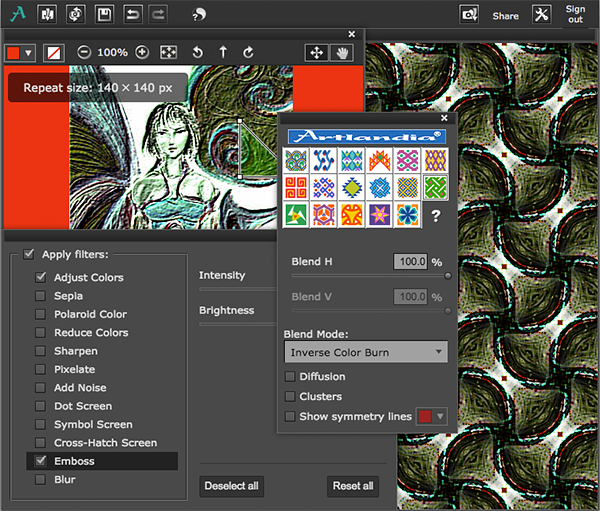 SymmetryMill 2 is almost here, and it comes with a new automatic pattern generator, advanced blend modes, a bevy of new filters, numerous improvements, and, importantly, a modern technology behind the familiar user interface.